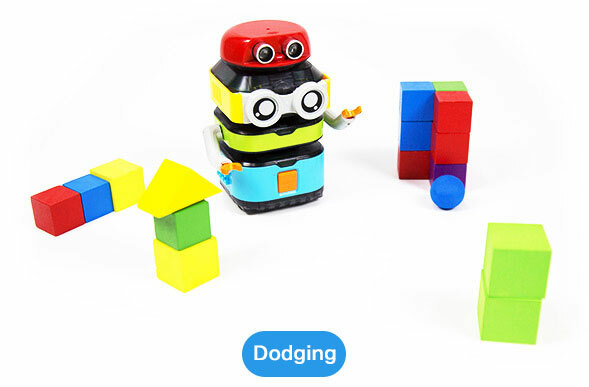 TacoBot is a robot designed for children over 4 years old, and different functional robots can be created by simply stacking different modules.It can be given the ability to perform different tasks by remote control, simple button pressing or graphical programming. During the assembly process, children can not only learn STEM education, but also develop their observation, logical thinking, abstract thinking and practical ability. 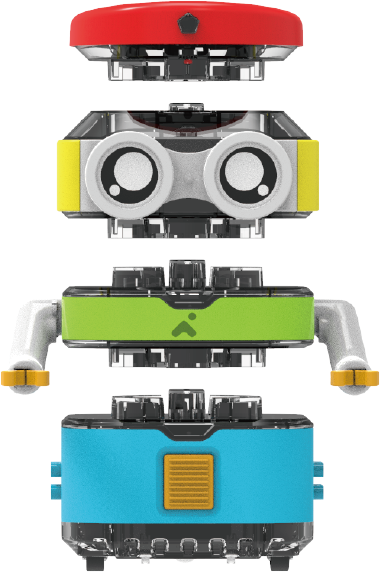 After three years of repeated experiments, the humanoid stackable structure robot for children was designed to make it easy for them to get started. 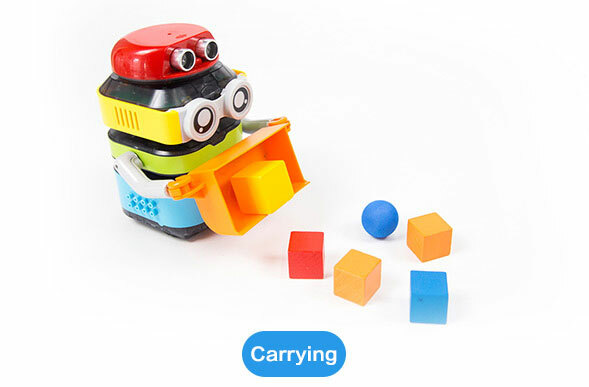 By simply stacking and combining, they can create an endless number of ways to play, ignite children’s interest in science and technology, and develop their thinking skills. Allows TacoBot to recieve feedback from the outside world. Two cute little hands can be used to attach a variety of fun accessories at the same time. 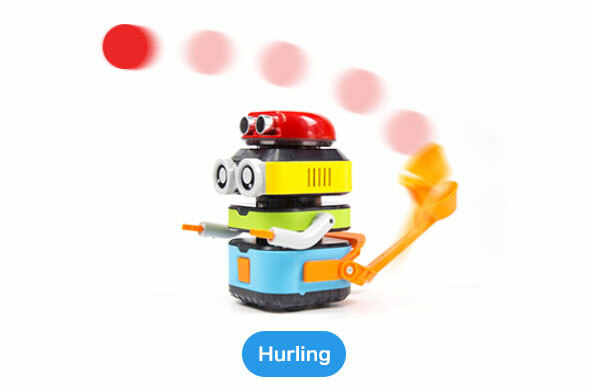 Supports TacoBot to emit sound and light. Can provide power and support its movement. 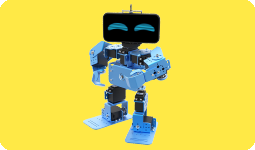 TacoBot’s screen-free keypress programming and graphical programming based on ScratchJr can cater to children of all ages. 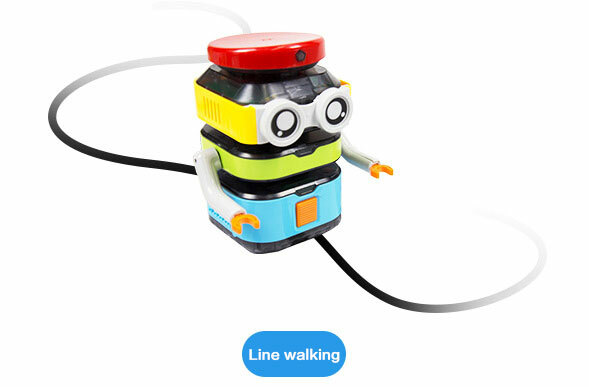 TacoBot’s movements can be programmed with button hat without a screen. Eg. 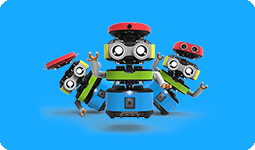 try keypress programming and see how TacoBot solves a maze. 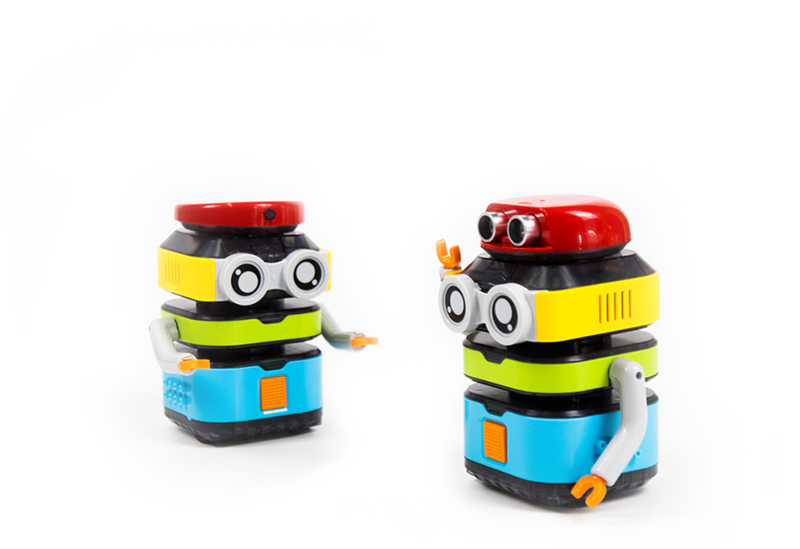 Combining hats with drag-and-drop graphical programming software gives TacoBot superpowers and the ability to perform more complex tasks. Don’t worry if your child doesn’t understand, we have game cards and mission levels to help him/her get started in the game. 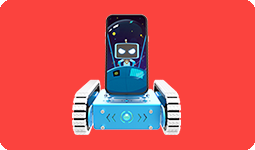 In addition to keypress programming and graphical programming, TacoBot’s app contains richer content waiting for further exploration. 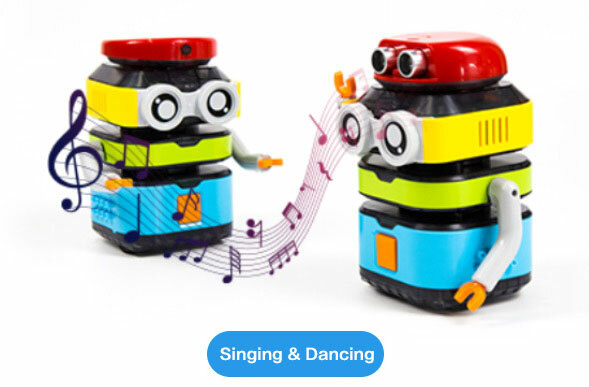 The combination of music, stories and games makes TacoBot more than just a coding robot, but also an intimate companion of children’s entertainment. Try to get TacoBot to tell a story.